Pearl - Tropical Pool Oasis. Large Covered Patio. Drive to Beach. Take in the water views from the pool through the elegant glass doors. The circular driveway has enough room to park three vehicles for friends and family. 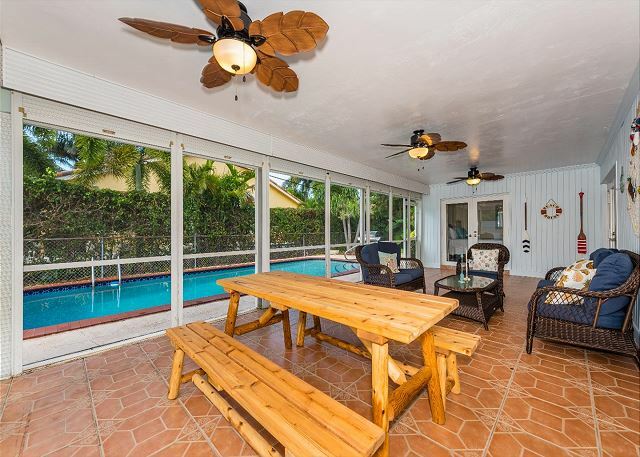 Enjoy the screen enclosed porch overlooking the sparkling fenced-in pool. Enjoy your late night shows while lounging in your living room area. The living room is large enough to accommodate family gatherings. 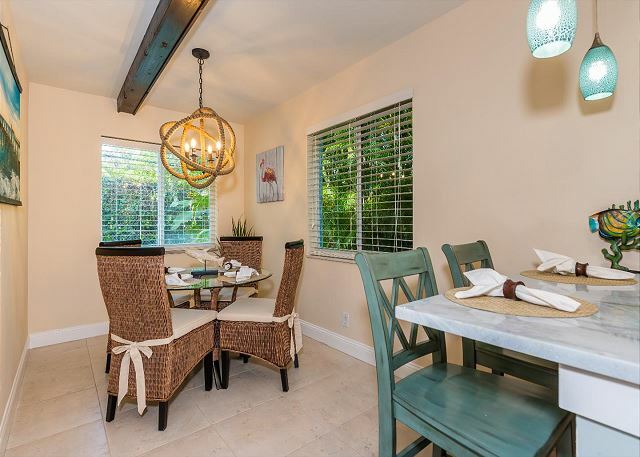 Enjoy a gourmet dinner at the wooden dining room table with sitting bench. The dining room table can sit up to six people to enjoy fine or casual dining. The wicker breakfast set is ideal for breakfast or lunch before heading to the beach. The granite breakfast counter is perfect for those that want to grab a bite on the run. 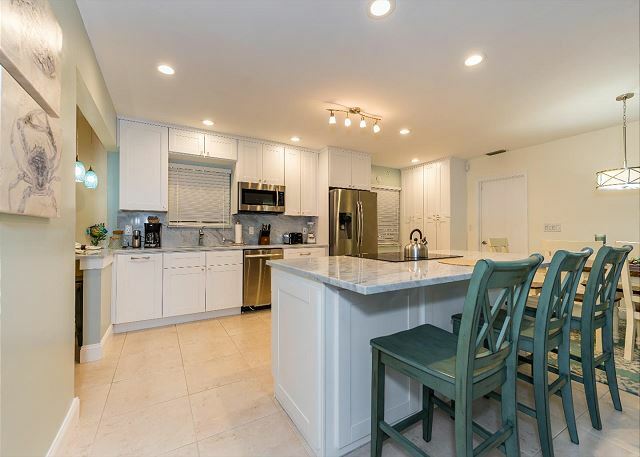 The kitchen is set up for a gourmet chef with stainless steel appliances and solid wood cabinets. The accent lighting throughout the kitchen sets the perfect tone for a fun night cooking your favorite dish. The double french door refrigerator has enough room to pack all your delicious food items. The master suite has a king size bed and a TV mounted to catch up on your latest movie list. 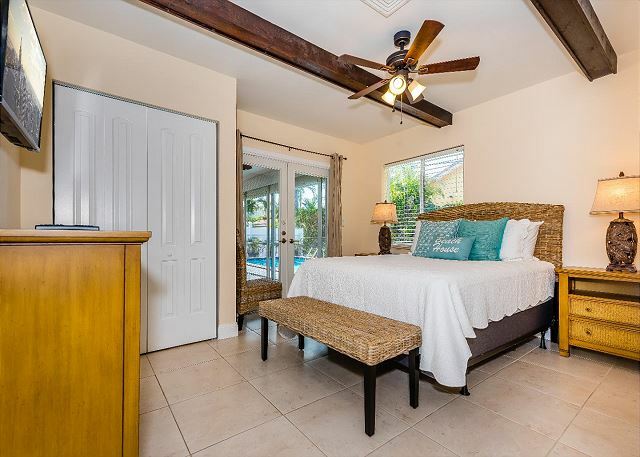 The master suite is located right next to the screened-in porch to take advantage of the cool night breezes. 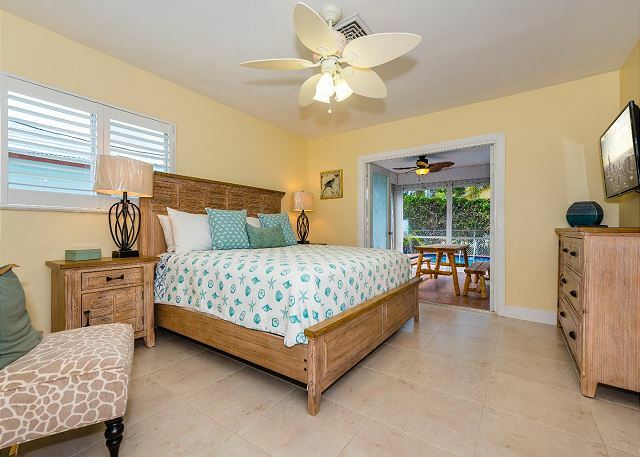 The master bedroom has an elegant en-suite for pampering yourself at night after a stroll along the ocean. The master en-suite has a tub/shower combo so you can relax after a day sunning at the pool. The second bedroom suite has a queen size bed that has access to the screened-in porch area. 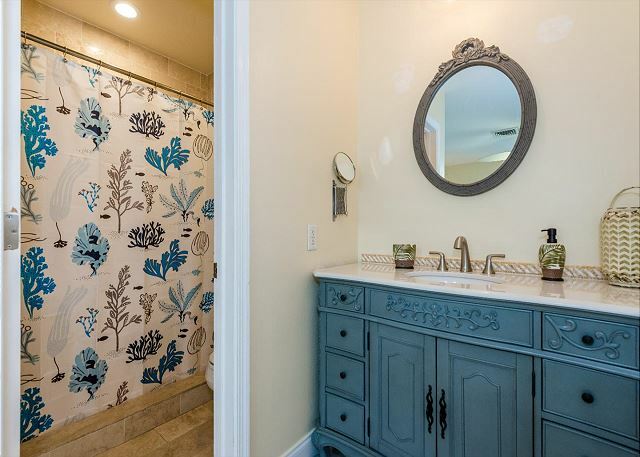 Second bathroom has granite counter tops and solid wood vanity. The third bedroom offers two twin beds. One twin bed has a pull out twin beneath. 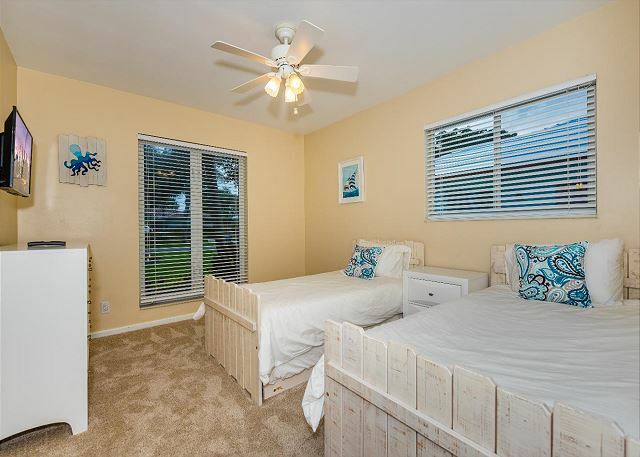 This room sleeps three, perfect for kids of all ages. The fourth bedroom has a comfy twin day bed with a pull out twin and a TV mounted on the wall for entertainment. 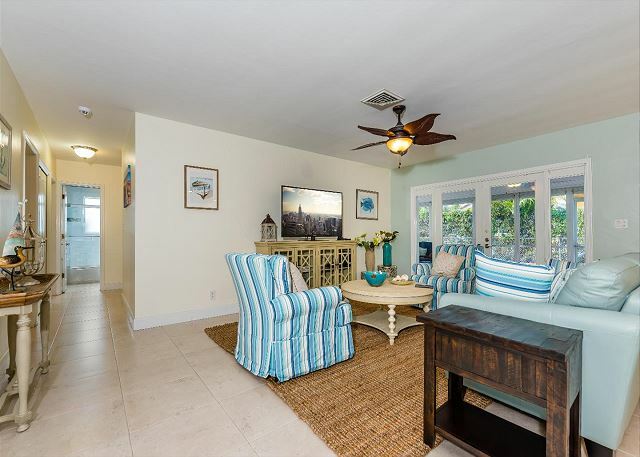 The large screened-in porch area is large for dining outdoors or sipping tropical drinks in the sofa area. 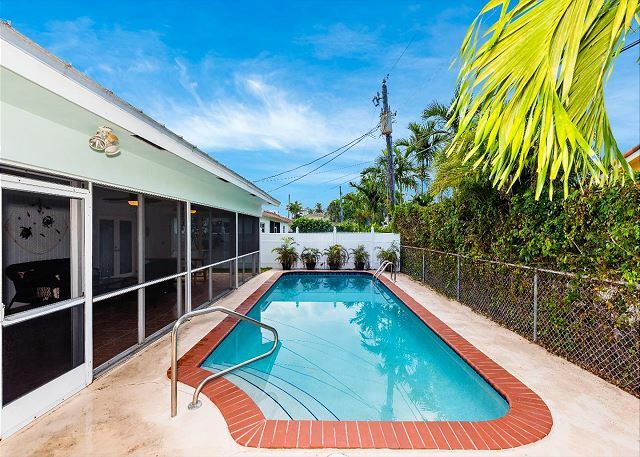 Use the world class facilities at the Pompano Aquatic Center with outdoor Olympic-size pool. 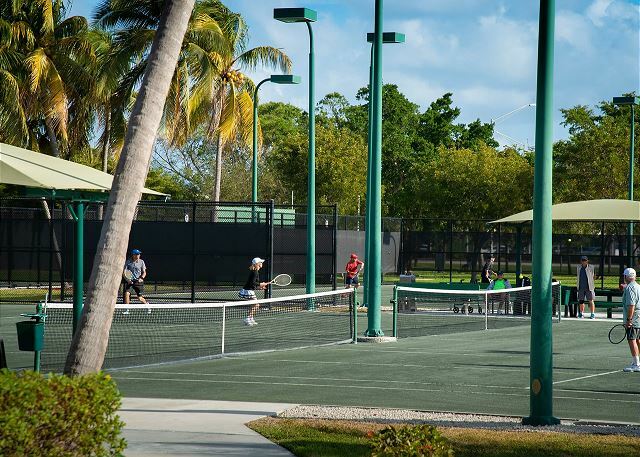 Play a set of tennis with your hitting partner on the Har Tru tennis courts. Take your kids and grand kids to the nearby tot lot and playground. 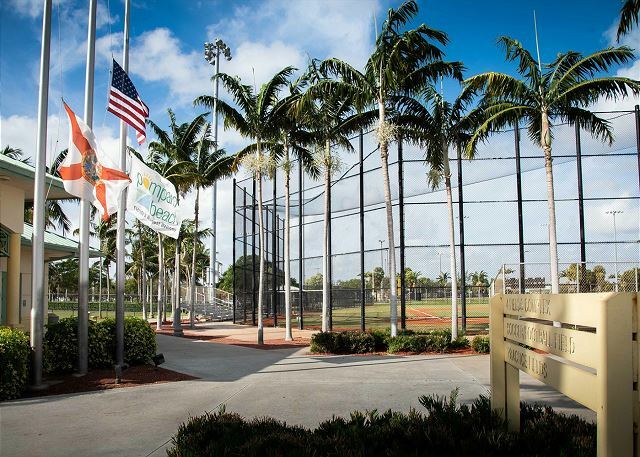 Take in a Sunday morning ball game at the nearby ball park. 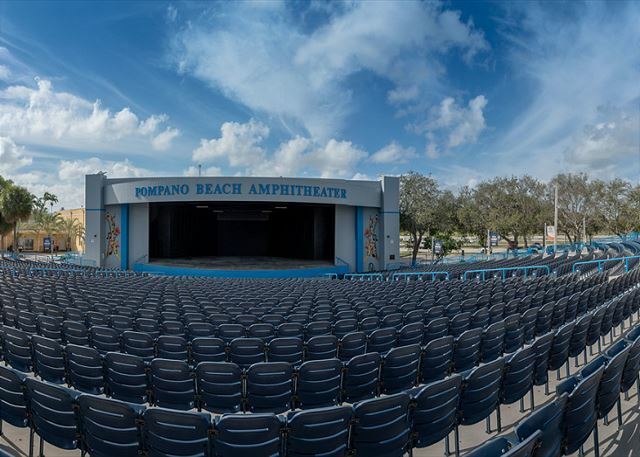 Watch a live orchestra or band at the local Pompano Beach Amphitheater. 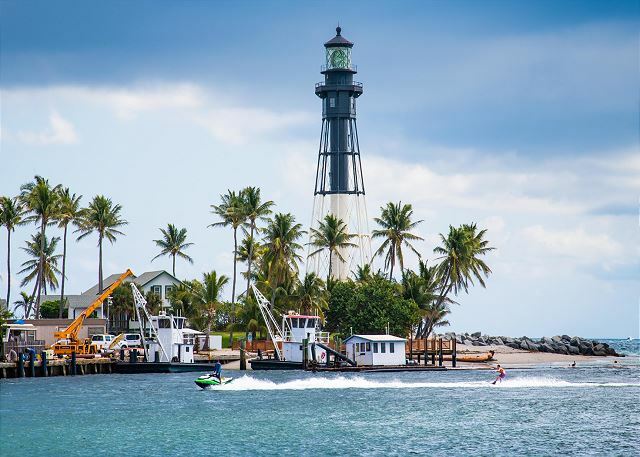 Rent a jet ski and waterr ski along the Pompano Beach Inlet. 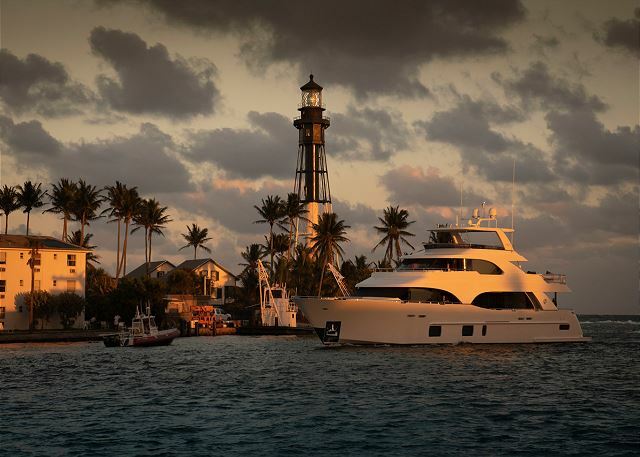 Book a romantic sunset cruise excursion along the Atlantic Ocean and Intracoastal Waterway. 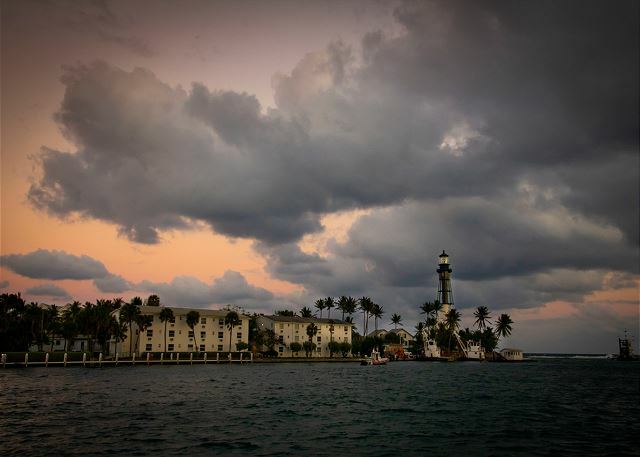 See the sky light up with the lighthouse shining at night. Watch the clouds roll in when the sun begins to set on the horizon. Take a few laps in the private pool with large pool deck area. 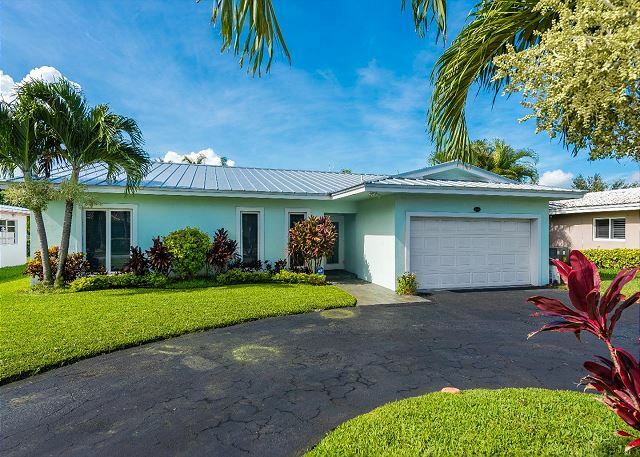 Enjoy a modern kitchen with granite counters, and a spacious master with en-suite bathroom. When you’re ready for sand and surf, the ocean is just across the bridge. 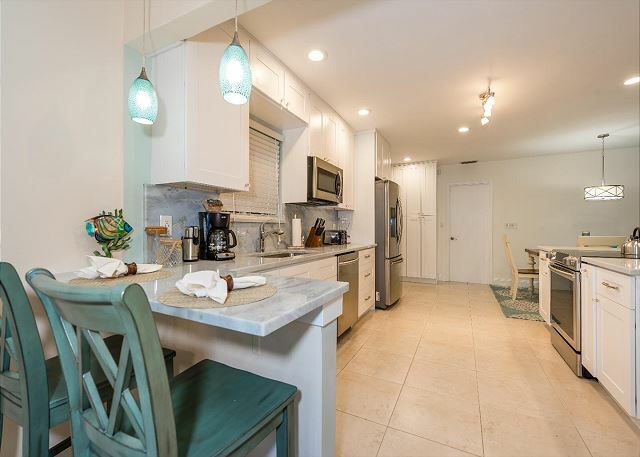 You’re also near shopping, dining, and activities like golfing, tennis, and sightseeing up and down A1A. 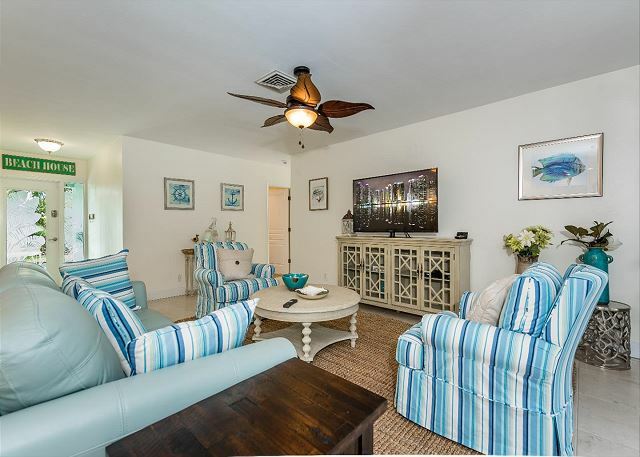 inside, cool tile flows through the living room, where relaxing blues and whites lull you into vacation mode. Claim a spot on the couch or in one of the two armchairs to watch the 50” flat screen TV. 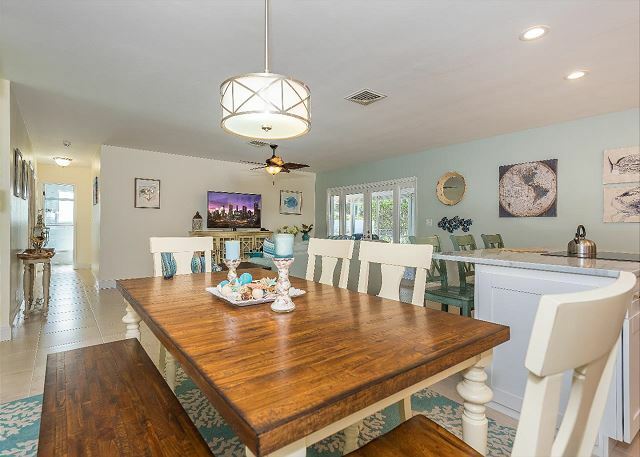 Sit at a solid wood dining room table with six chairs and enjoy your casual or formal meals with friends and family after spending a fun day sunning at the beach. 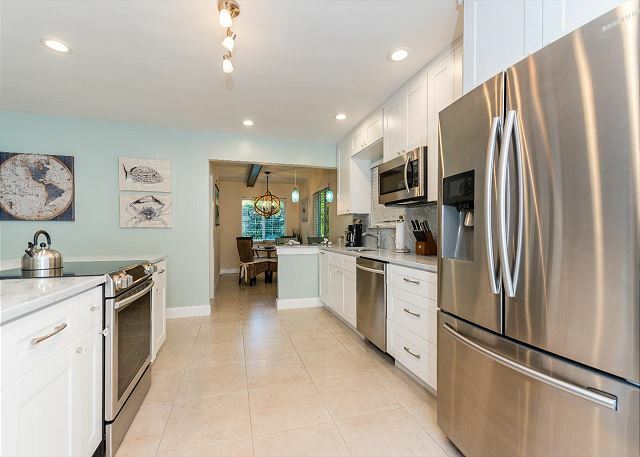 Prepare anything from simple snacks to gourmet dinners in the exquisite kitchen with granite counters and stainless-steel appliances, including a French-door fridge. 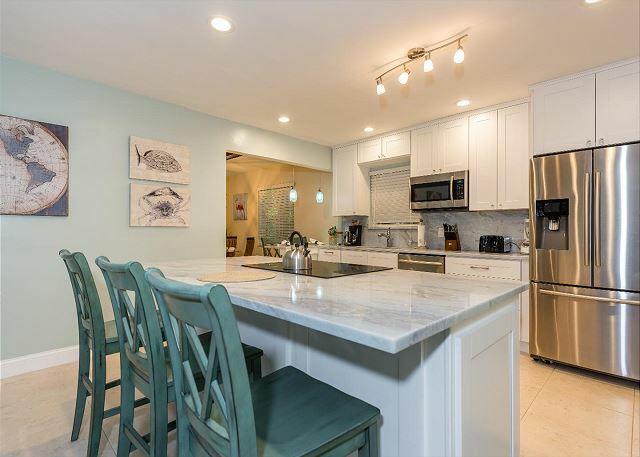 There’s plenty of prep space on the spacious center island, as well as three barstools for enjoying breakfast. 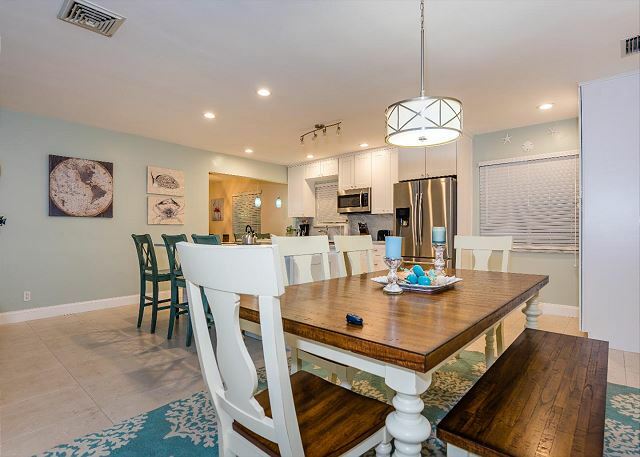 A six-person dining table, two more barstools at a separate counter, and a four-person breakfast table offer additional seating. 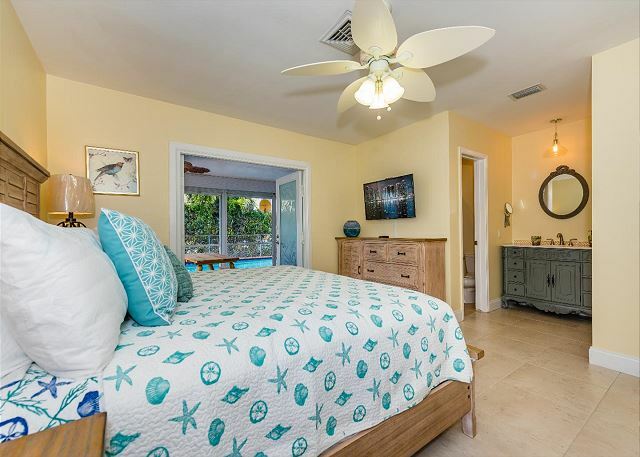 Sleep well in the master bedroom with king bed, slipper chair, 40” flat screen TV, and French doors out to the screened porch. 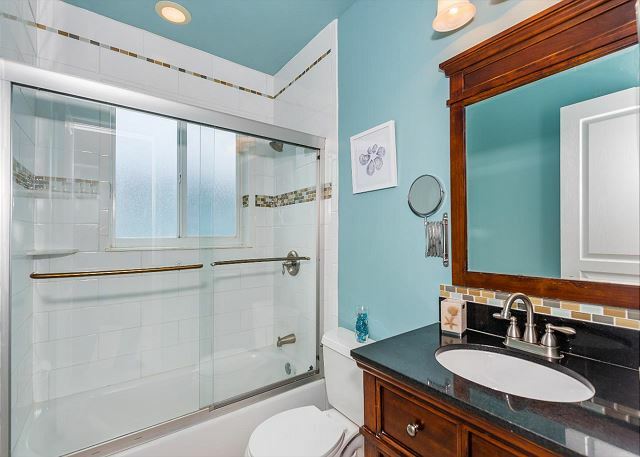 The en-suite bathroom has a vanity open to the bedroom, a separate water closet, and walk-in shower. The second bedroom has a queen bed and 32” flat screen TV. Doors lead out to the screened porch. 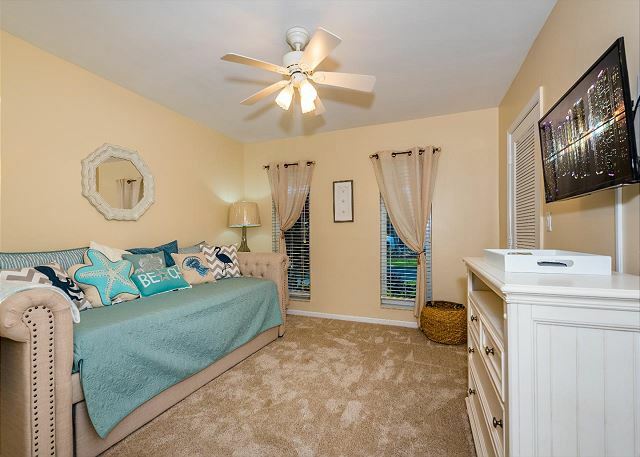 Great for kids, the third bedroom has a twin daybed with twin trundle, as well as a large closet and 32” flat screen TV. 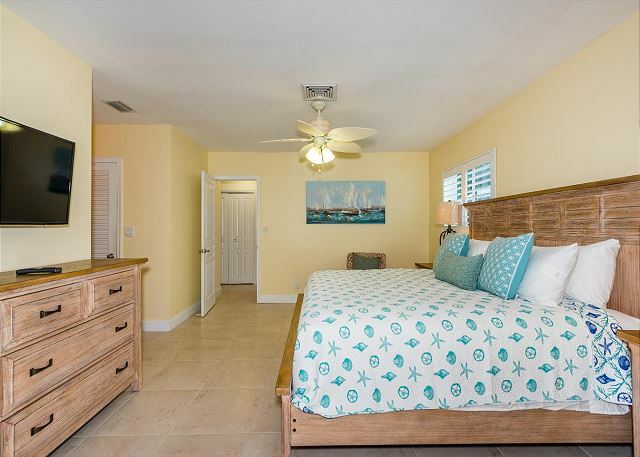 The fourth bedroom offers two twin beds and a twin pull out bed with another 32” flat screen TV. All the guest bedrooms share a full bath with tub/shower combination. Amenities include parking for four cars—two in the garage and two in the driveway—and a washer/dryer set. 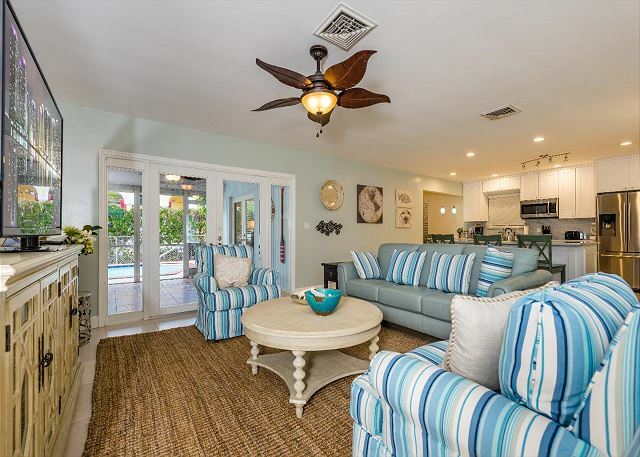 Like your own private resort, the backyard boasts a screened lanai with table for al fresco dining, plus a seating area and three ceiling fans. 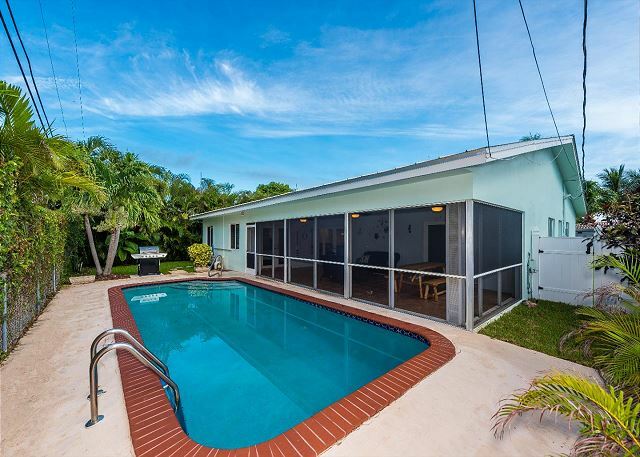 Cool off in the swimming pool, while you cook out on the gas grill. Walk 1 block and you’re right on the Intracoastal. 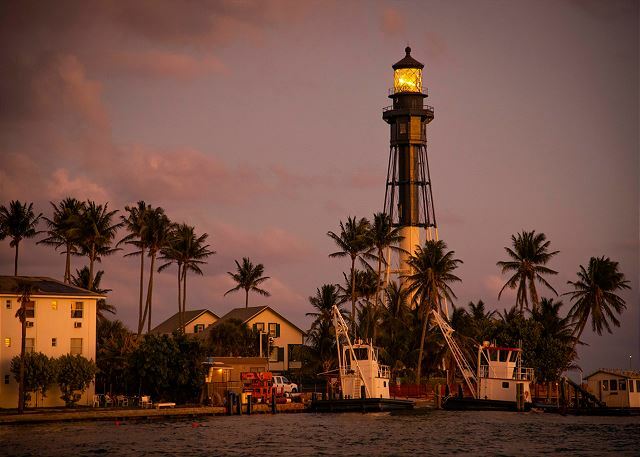 Make your way across the bridge to Pompano Beach (7 minutes) to find fun activities for all ages. Hunt for shells, catch a tan, and splash in the gentle waves. 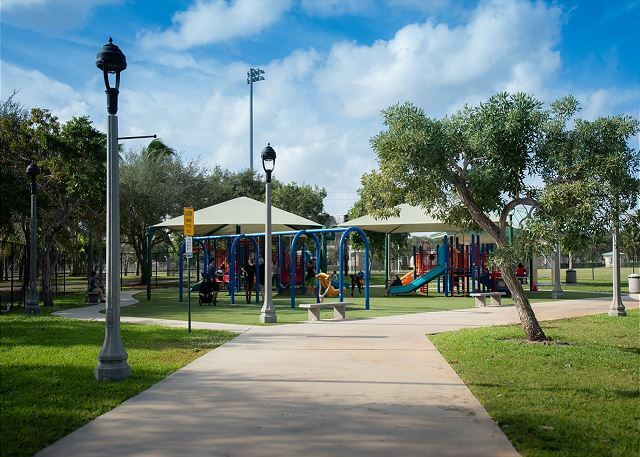 The City of Pompano public golf course is just 5 minutes up the road, with tennis courts nearby. Several restaurants are less than 5 minutes away, including The Foundry and Umberto’s. Jump on the nearby A1A and take a ride along the ocean to Deerfield Beach to the north or Las Olas to the south. As world travelers ourselves, we know what matters most—exceptional customer service, beautiful properties, and authentic experiences at a good value. We seek out the best privately owned houses and condos featuring comfort and appeal, and treat them as our own. Affinity is proud to bring first-class service, management, and dedication to the vacation rental industry. We love what we do and thrive on creating memorable experiences while meeting new people along the way. Note: Pack 'n play portable cribs and high chairs are available upon request. Contact 1-833-4-AFFINITY for more information. We arrived Saturday evening to the rental home. First we looked for a pack and play because we have a 9 month old that didn't sleep all day- none to be found. I called immediately and ended up having to go to wal-mart to get one. I felt like the inside was clean but the lanai and the outdoor space were not. The lenai had debris and dead bugs all over that needed To be swept before our kiddo could play out there. The outdoor space had some trash laying around and just looked unkept. The pool is beautiful but had a rusty shard of metal on the bottom. Fast forward to Monday- call and email from affinity apologizing for the back and play and sending someone over to make it right ( which was greatly appreciated). We loved the set up of the home, it worked perfect for our family but the house just feels like it needs to be updated to be a 5 star rental. The "old" smell and musk is in the house still and just makes it feel dirty,but there was no dirt to be found inside. Exactly like the pictures! It was beautiful! We didn't want to come home. My husband wants to buy the house and decor also. This rental met our needs extremely well. The management company representatives were helpful, friendly, and responsive.